I set them up to give people who originate from Laghey/Ballintra as well as visitors some basic information about the area as there is not much publicised about them online and Donegal in general. I receive a few requests every month querying relatives and family names and help out as best I can (my young age seems to be the issue ... i cant trace family names back far enough). 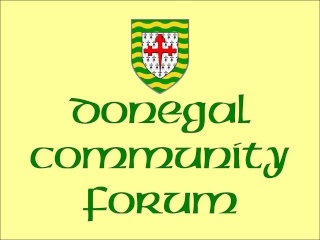 I hope that this site can grow to become a comprehensive source of information for families, friends, and areas wirhin Donegal and I hope to help as many of you out as possibe. Big kudos to Annie for settings this up. If I can be of any help ... just say!